Yakima, WA – Borton & Sons, Inc. representatives Denny Annen and Rob Dresker just returned from our annual Marketing trip and tour overseas. 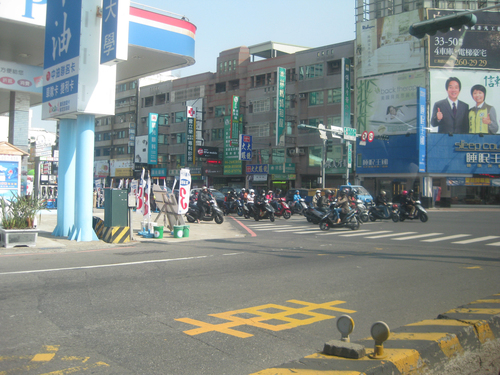 The trip to Taiwan is always very beneficial considering a vast amount of our product goes there each season. “This time of year is always really busy for our export department filling the demands for Chinese New Year. It was nice to get out in the market to see it first- hand. Even though some wholesalers and importers mentioned there wasn’t enough Fuji’s from Washington in the market this year, all that we did see looked really good. They did say they had multiple containers in the port in storage for the big Chinese New Year push, so I’d be expecting to see quite a few more reaching the market this week” says Rob Dresker, International Sales & Marketing Director. This year, Chinese New Year falls on January 31st. The New Year celebrations last for 15 days! This year is the year of the horse. It’s said that the horse is one of the favorite animals being they provide people quick transportation and can help people in battle. They are looked at as a symbol of traveling, competition and victory. In China, the horse is connected to speedy success. To learn more about the Chinese New Year in general, or to find out which sign you are, see the link’s below! 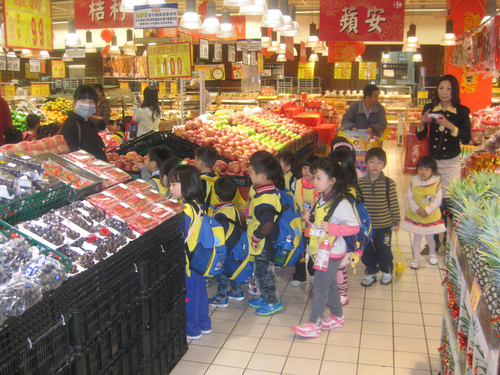 In China, most fruits have a symbolic meaning associated with them. Apples symbolize peace. The word for apple in Chinese is ping, the homonym of ping is peace. The apple blossom stands for beauty. If you see one in a picture with magnolias, the meaning is a hope that your house be honored and rich with beauty. Since Apples have such a symbolic meaning, they are great gifts for family’s to share. Chinese tend to enjoy the large, colorful apples and in most cases, will split one large apple between the entire family for desert after dinner. Fruit baskets are one of the most popular gifts during the Chinese New Year, as well as full boxes and gift boxes of fruit. 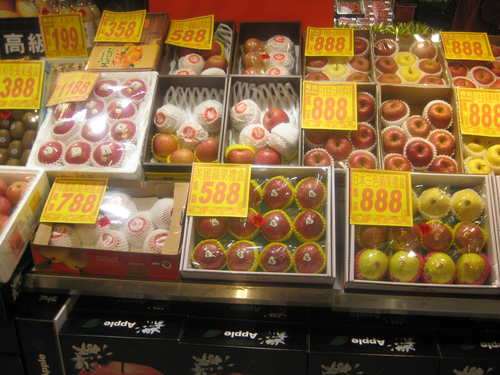 Please see the picture below of the Fuji gift packs on display at a supermarket we visited. Overall Borton Fruit’s trip to Taiwan was exceptional. We got a pulse for the market and had productive meetings with our customers. With great partners and receivers in Taiwan, we’ve been able to make this program work each year and will continue to expand our presence in the Asian Market for years to come.